Preview trailer promoting the Arrow episode "Deathstroke Returns"
Thursday, November 9 on Arrow… DEATHSTROKE RETURNS! And he’s not alone. The Vigilante is back, too! The CW aired a trailer for the Nov. 9 installment following “Reversal;” you can see that new trailer below. As a bonus we also have some official preview images! If you’ve just finished “Reversal” and want to talk about it with other fans, visit our Arrow forum! 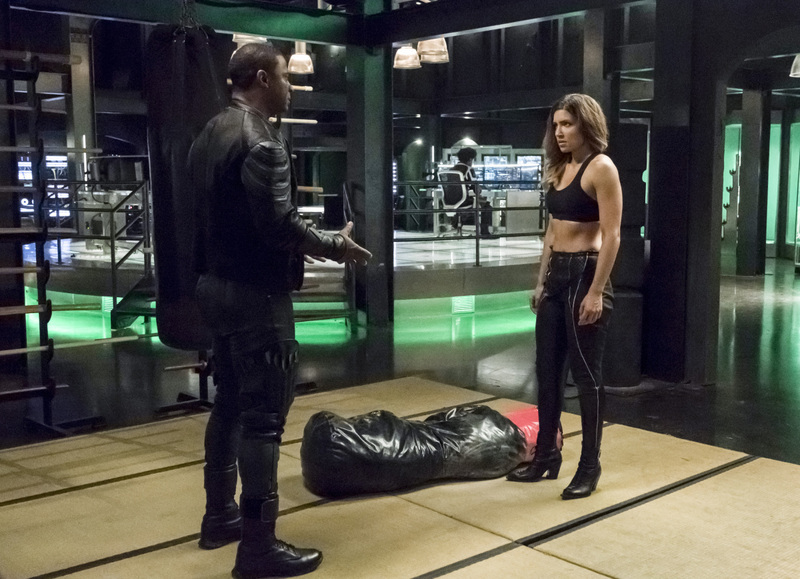 SLADE RETURNS; VIGILANTE REAPPEARS IN STAR CITY – Slade (guest star Manu Bennett) returns and asks Oliver (Stephen Amell) for help in tracking down his son. When they learn Joe (guest star William Franklyn-Miller) has been taken hostage by mercenaries, their mission to save him gets complicated by a terrible revelation that could shatter Slade’s hopes of reunion forever. Meanwhile, Vigilante reappears in Star City. Joel Novoa directed the episode written by Ben Sokolowski & Spiro Skentzos (#605). Original airdate 11/9/2017.